The Pentel R.S.V.P. is a pen that’s ubiquitous to the school-supply isle. It’s nicer than the cheapo pens you’ll find in the typical office supply cabinet, but it’s inexpensive enough – and durable enough – that you could probably throw it into a kid’s backpack without much thought. 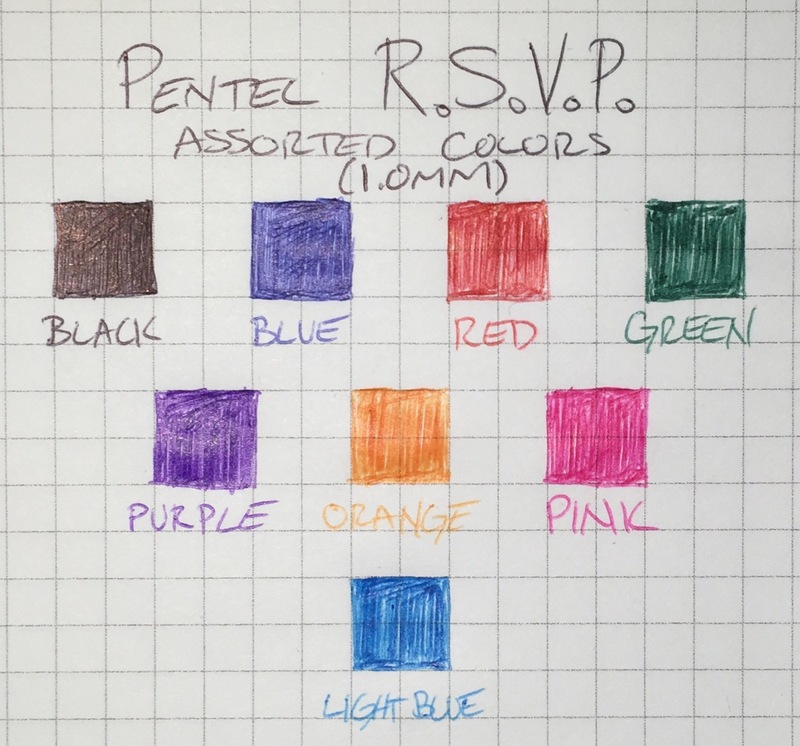 This eight-color set of Pentel R.S.V.P. ballpoints follows along those same lines; they work, but there’s little that’s noteworthy. The colors included here all feel fairly basic. The blue, red, purple, and green lend themselves best to utilitarian tasks like grading papers or taking notes. The orange, light blue, and pink are a bit brighter, but still might be best suited to highlight or mark passages in a book. Drawing, doodling, or coloring is best treated as an after-thought. These R.S.V.P. colors don’t provide a particularly smooth or smear-free writing/drawing experience. Color with them too long and you’re bound to find ink blobs smeared across the side of your hand. And despite the soft grip section, hand-cramps are likely to occur after only a few minutes of continual use. Like most ballpoint pens, the ink works great for shading and darkening (depending on how hard you press down on the paper), but they don’t fill in areas particularly well either. These pens are best put to work in a calendar, textbook, or notebook – anywhere drawing, doodling, or coloring will be secondary. 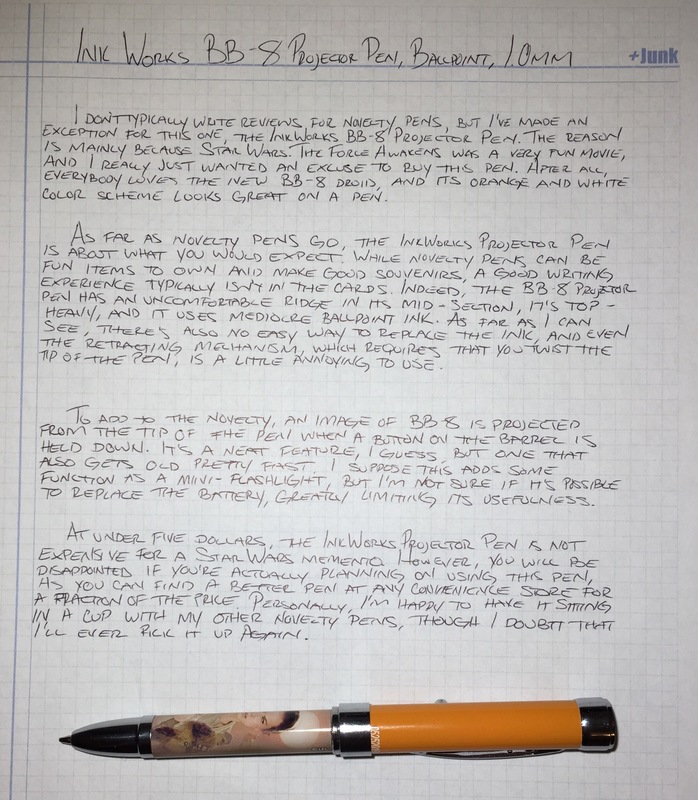 I don’t typically write reviews for novelty pens, but I’ve made an exception for this one, the InkWorks BB-8 Projector Pen. The reason is mainly because Star Wars: The Force Awakens was a very fun movie, and I really just wanted an excuse to buy this pen. After all, everybody loves the new BB-8 droid, and its orange and white color scheme looks great on a pen. As far as novelty pens go, the InkWorks Projector Pen is about what you would expect. 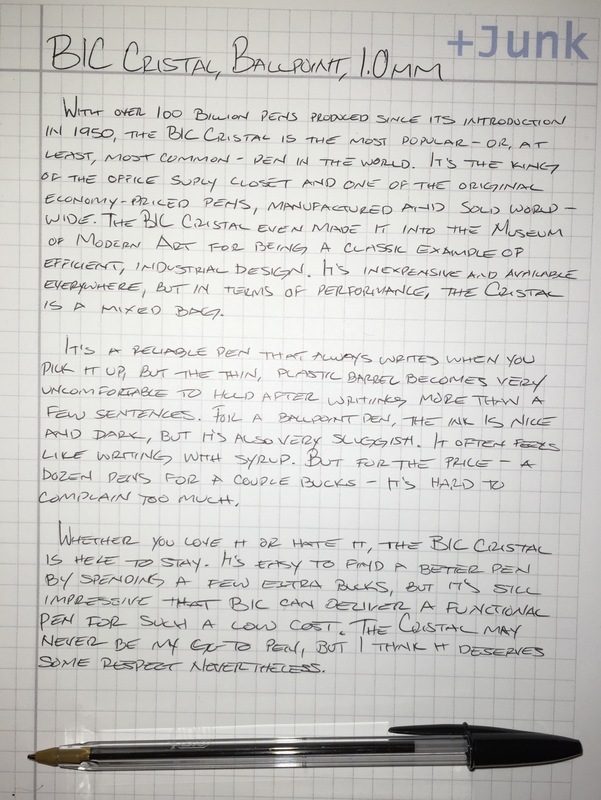 While novelty pens can be fun items own and make good souvenirs, a good writing experience typically isn’t in the cards. Indeed, the BB-8 Projector Pen has an uncomfortable ridge in its mid-section, it’s top-heavy, and it uses mediocre ballpoint ink. As far as I can see, there’s also no easy way to replace the ink, and even the retracting mechanism, which requires twisting the tip of the pen, is a little annoying to use. 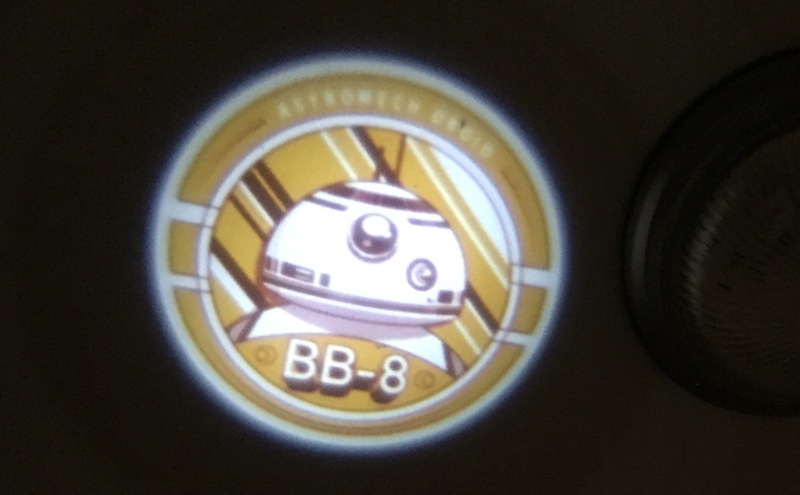 To add to the novelty, an image of BB-8 is projected from the top of the pen when a button on the barrel is held down. It’s a neat feature, I guess, but one that also gets old pretty fast. I suppose this adds some function as a mini-flashlight, but I’m not sure if it’s possible to replace the battery, greatly limiting its usefulness. At under five dollars, the InkWorks BB-8 Projector Pen is not expensive for a Star Wars memento. However, you will be disappointed if you’re actually planning on using this pen, as you can find a better pen at any convenience store for a fraction of the price. Personally, I’m happy to have it sitting in a cup with my other novelty pens, though I doubt I’ll ever pick it up again. P.S. It looks like InkWorks make the same Projector Pen in a lot of different styles, from Angry Birds to The Walking Dead. However, I’m happy to only have the BB-8 version. During the space race of the 1960s, NASA quickly realized that a standard ballpoint pen would not work in space, as it relies on gravity to function properly. So, after spending millions and millions of dollars, they developed the Space Pen. The Russian cosmonauts were faced with the same problem. They just used a pencil. It’s an interesting story about government waste, bureaucratic incompetence, and the elegance of a simple solution. Of course, the story is mostly a myth. In truth, NASA did originally use pencils in space – both wood-case and mechanical – but they were worried about the tiny bits of eraser, graphite, and wood shavings. All this detritus would float around the spacecrafts’ cabins, potentially damaging sensitive electronics and creating a fire hazard. Then in 1965, Paul C. Fisher approached NASA with an invention; a ballpoint pen with a pressurized ink cartridge. After testing it for a couple of years, NASA agreed to use the Space Pen, paying Fisher six dollars per unit. Today you can buy the Fisher Space Pen in several different models and styles, such as this Cap-O-Matic version with a tiny space shuttle embossed in the middle of the barrel. It’s on the small side, comparable in size to the Zebra F-301, making it a pen that’s not particularly comfortable to write with for long periods of time. However, the pressurized ink definitely has advantages that aren’t offered by many other pens. Writing upside-down or against walls is the obvious one, but it also works well for writing on glossy, dirty, or even wet paper. While I’m not personally inclined to pick up the Fisher Cap-O-Matic Space Pen on a regular basis, it will definitely come in handy during travel. Those who spend a lot of time outdoors will also find a pen like this incredibly useful. It’s got a solid build, and it’s definitely worth the 10 or 20 dollars it costs today. At the very least, people will be impressed that you have the pen that (supposedly) cost NASA millions of dollars to make. While NASA didn’t spend millions to develop a pen, they did apparently spend an insane amount of money on mechanical pencils before the Space Pen came around. A review of the Cap-O-Matic by Smart Suburban Survival. He’s been using the pen for a decade. Here’s a short history of the Space Pen on Fisher’s website. And here’s another one from Scientific American – according to this, NASA originally paid less than three dollars per space pen. 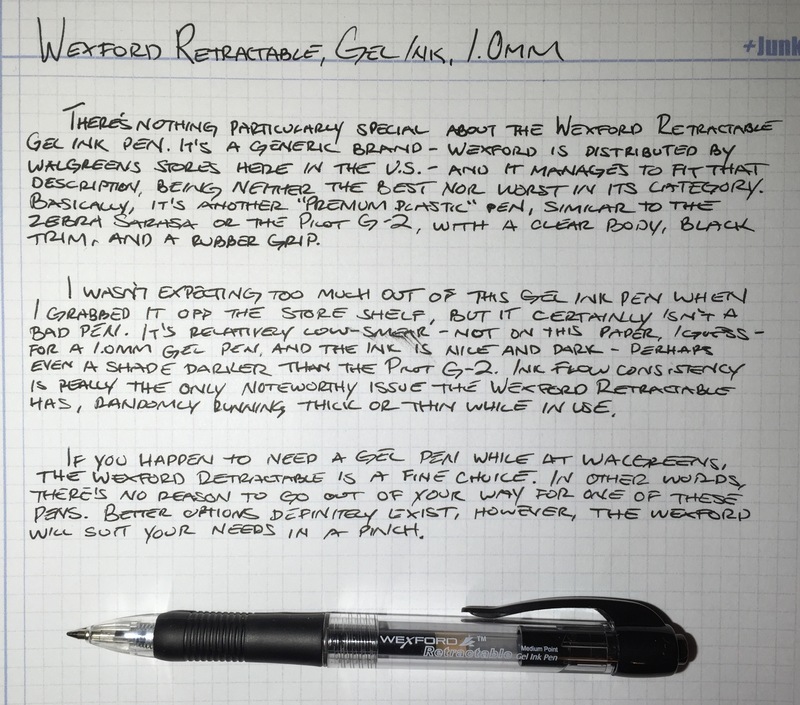 There’s nothing particularly special about the Wexford Retractable gel ink pen. It’s a generic brand – Wexford is distributed by Walgreens stores here in the U.S. – and it manages to fit a “generic” description, being neither the best nor worst in its category. Basically, it’s a another “premium plastic” pen, similar to the Pilot G-2 or Zebra Sarasa, with a clear body, black trim, and a rubber grip. I wasn’t expecting too much out of this gel ink pen when I grabbed it off the shelf, and it certainly isn’t a bad pen. 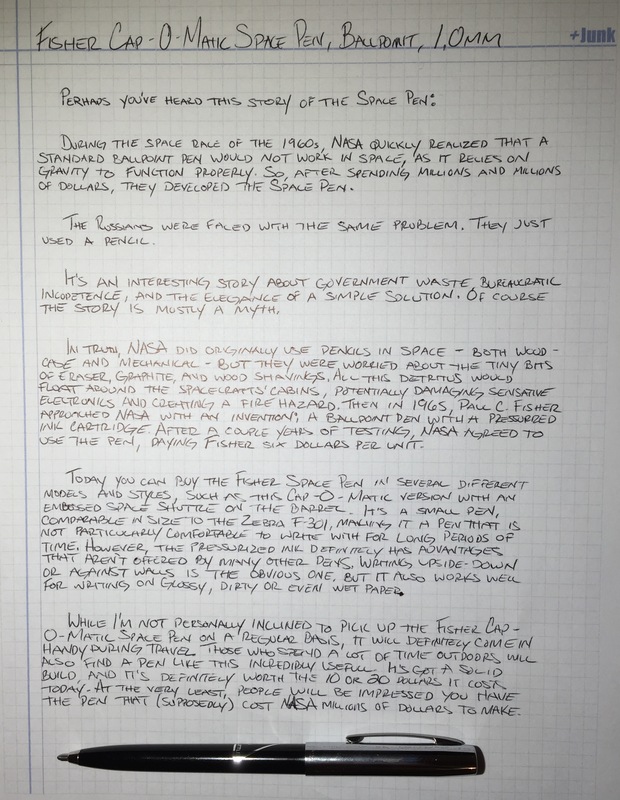 It doesn’t smear as much as I expected for a 1.0mm gel pen, and the ink is nice and dark – perhaps even a shade darker than the Pilot G-2. Ink flow consistency is the only noteworthy issue the Wexford Retractable has, randomly running thick or thin while in use. If you happen to be in need of a gel pen while at a Walgreens store, the Wexford Retractable is a fine choice. Or in other words, there’s no reason to go out of your way for one of these pens. 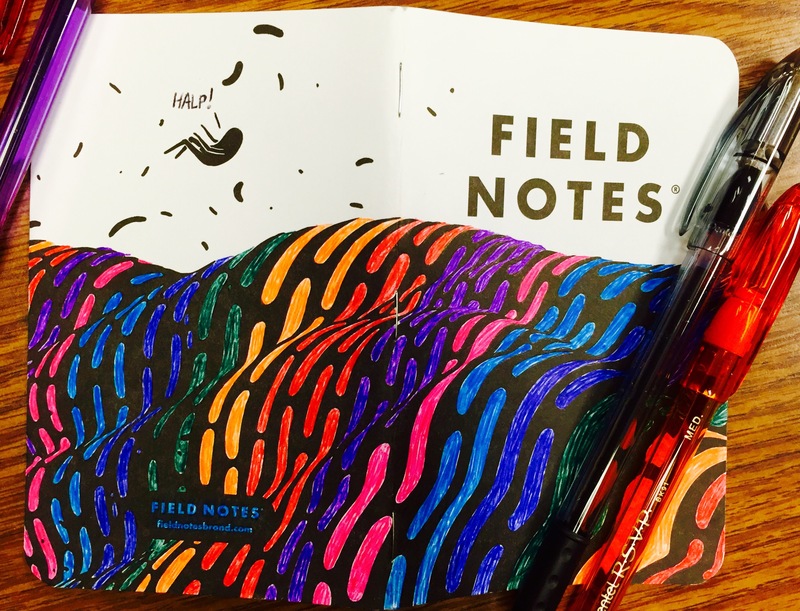 Plenty of better options are out there for gel ink pens. However, the Wexford Retractable will likely suit your needs in a pinch.